The music here strongly emphasize abrupt cuts, stop-and-switch dynamics, which to me seems to reflect social fragmentation in urban life, and the often talked about compartmentalization of our experience of it into work/leisure boxes. This is literally represented in the first 5 minutes: cold steely bass and beats adorned by a sample “work. work. work. work.” all of a sudden gives way, for only a few bars, to a relaxed synth and a rapper boasting about his money, and then immediately returns to grinding and oppressive beats/work. The music here makes intensive use of manic repetition, often in a more radically rigid way than in traditional House or Techno, mirroring the experience of large sections of the working under classes, in whose culture this music is rooted, being locked into monotonous schedules of menial labor. So it is no surprise that *work* becomes a metaphor for the dance in Afro-American music, which is shaped by both the historical legacy (No Drums Allowed) and present day reality of (wage) slavery. The music here is often tense, undoubtedly related to the pervasive class antagonism on the streets of New Jersey or London, and economic disparity which implements segregation. Violence is a constant theme, gun sounds introduce the mix, and is always present through out: All of these new-ish bass music styles stem from, and comprise the aesthetic of Gangsta Rap as much as Ghetto Tech and Booty Bass: pure sublimated aggression and commodified anger. Club Deconstruction presents the digital underground of mainly North America, the freshest musical ideas in the “first world”, the former colonial centers, informed by recent internet enabled exposure to far away cultures (surely the only good effect of globalization). *Facta – Tungsten*, for instance, is one track among many which takes unmistakable rhythmic cues from South Africa, and others, such as “Black Vanilla – Throw It Down”, repurpose Angolan beats. Modern dance music in the West is of course built on a foundation of African rhythms stripped of its drums, but this is somewhat of a new phenomenon in musical history: young producers in N.America DIRECTLY drawing from the rhythms of Africa. Africa is not only the future, it is the only future, as far as dance music is concerned: because the science of designing sound patterns for the proportions and speeds of the human body has reached heights of sophistication and advancement in the mother continent that electronic dance music is only beginning to realize, and reach for. 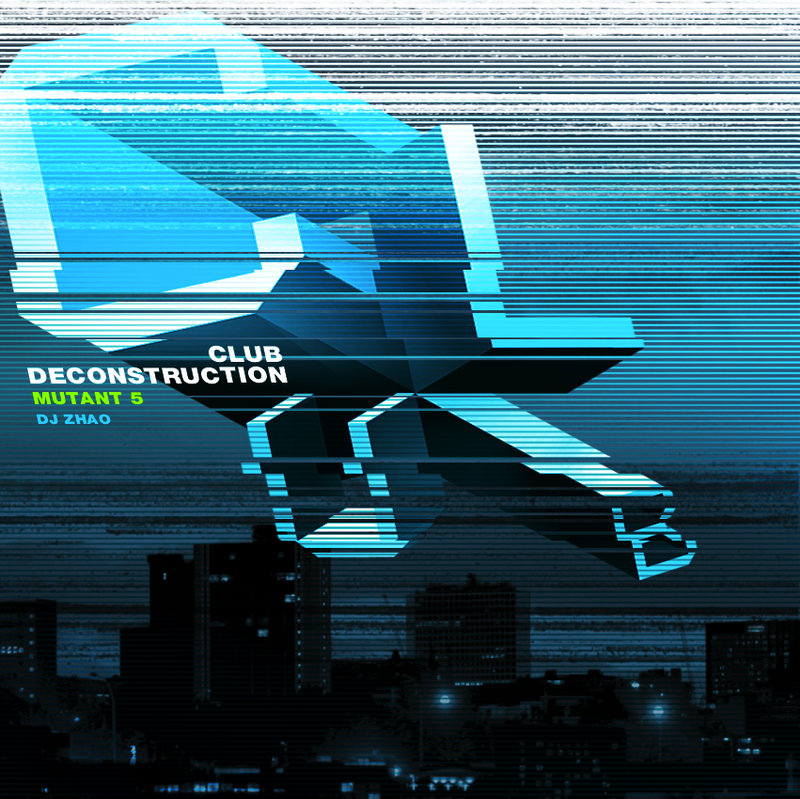 Club Deconstruction is evidence of today’s most forward thinking bass music reinventing itself along Afrocentric lines. This is 21st Century expressions of ancient rhythm heritage, heir of colonial history, shaped by hyperspace pollination, and mirroring the everyday realities of life in the context of violent global capitalism. This entry was posted in Downloads, Mixes and tagged bassline, ghetto-house, Grime, jacking, Jersey Club, Kuduro, Mutant, techno, UK-House by ngomasound. Bookmark the permalink.